Okax,If you are facing any problem regarding youtube videos that are not getting play in our devices then in this article we are going to discuss the ways to Fix Youtube Videos not Playing on Android, iPhone, PC or Mac. Youtube is just so dope and is a part of the life as it feels to me! Without youtube, it just feels like time cannot be realized or enjoyed up really. Youtube is a well-developed media content player online or video hanger and as it is made with so many efforts and pushes there cannot be any issues found regarding its working. But if you are playing up the youtube then in some rare cases there have been an issue noticed that the Youtube videos don’t play up on the either devices like Android, iPhone, PC or Mac. This is one issue that if you get on your youtube then you cannot fix it easily as you might be struggling to find up any such option through which it could run alive again. Get easy about the matter as you can now easily fix up the issue by just an easy method, just read up the below article to know about that method. Below are the ways that will help you to fix Youtube Videos not Playing on Android, iPhone, PC or Mac. So follow the below guide to proceed. 2.Update App: The problem can also be there if you have not yet updated to the latest version of the Android Youtube App, so to try fixing it update the whole Android youtube app. 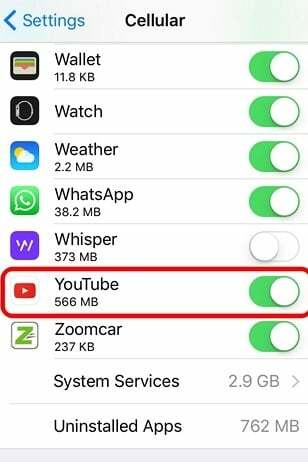 1.Clear Youtube App Cache: If the problem is occurring in the iOS Youtube App then the very first thing that you can prefer to do is clear up the youtube app cache. Again Simple enough! but can be very much effective, just try it to know it. Now apart from the other two above devices that have their official apps for the youtube, the youtube can only be accessed through the web browsers on the PC and Mac. There are some of the changes that could be made for the popular web browser chrome that could fix up the Youtube playback problems. Disable up the hardware acceleration under the “Show Advanced settings” >”System” by unchecking the “Use Hardware acceleration when available“. 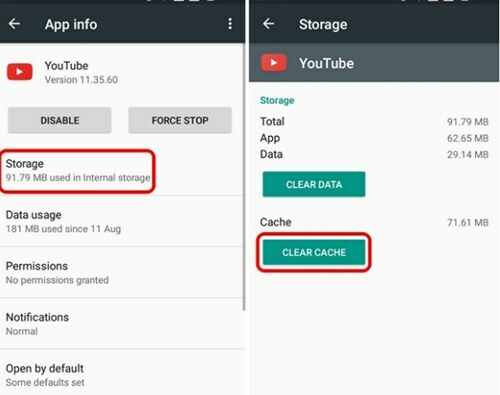 2.Clear Cache: This is what you people might be familiar with while surfing on your web browsers, so just do up the same thing now only maybe you haven’t done it for too long so only this might be causing the youtube issues. 3.Stop Tracking: Now we are discussing for the chrome browser only but you should find out the way for your web browser, just go to the “Settings>show advanced settings” and under the privacy, section enables up “Send ‘Do Not Track‘ request with your browsing traffic”.